This breakthrough research on insecticides widely used on farms, in malls and schools is from the University of California Davis. The scientists have overwhelming evidence that prenatal exposure to common insecticides known as organophosphates puts children at risk for neurodevelopmental disorders. The scientists are calling for immediate government action to phase the chemicals out. Their scientific review and demand for action was published in PLOS Medicine. 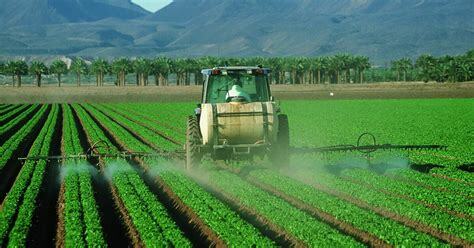 The study found "compelling evidence" that even low exposure in pregnant women to the organophosphate pesticides is associated with lower IQs and difficulties in learning, memory and attention in their children. The scientists are implicating the entire class of organophosphate pesticides. It's important to know that these pesticides originated as nerve gases and weapons of war. Today they have been converted into use to control insects on farms, schools, shopping malls and golf courses. Their essential mission remains the same: they kill insects by blocking their nerve signals. The vast majority of Americans come in contact with these chemicals.. They're in the food we eat, the water we drink and the air we breathe. Some governmental limits on their use have been put it place. But, the U-Cal Davis scientists say they have convincing evidence that the chemical limits aren't enough. They don't even provide protection for prenatal infants. The scientists say this needs to be immediately addressed.